Wage Garnishment in Oregon...Know Your Rights! Here at Debt Relief NW, it seems like we get dozens of calls weekly from people who "just found out", that their pay check was going to garnished! A WAGE GARNISHMENT DOESN'T JUST HAPPEN! 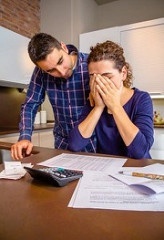 There is a legal process that must unfold before a creditor or debt collector can receive a writ of garnishment from he court to send to your employer. I'll call him Joe. Joe has a decent job and earns about $20/hour. At 40 hours a week and an average of 4.2 weeks/month, his GROSS (before taxes and deductions) is $3360/month. Of course, after taxes and other deductions, his NET INCOME ("TAKE HOME") is only about $2352 (approximately 30% less than his Gross Income). He is renting an apartment and has all of the usual bills. His total budget or outgo is about $2100 a month, leaving him barely $250 for emergencies, etc. The total monthly MINIMUM PAYMENTS on all add up to $300/month. Joe is having a very difficult time making the $300/month, minimum payments and then, he is working around the house and falls off a ladder and breaks his leg! His insurance policy doesn't provide for any "disability income" for the accident, so not only is he going to be off work for about 3-4 months, he doesn't have any means of income. Fortunately, he had a little savings account, but it wasn't enough to cover all of his monthly budget. So, Joe does what thousands of people do every day, he pays all of the most important bills, like his rent, utilities, groceries, etc. and let's the credit card bills get behind. After he misses a payment or two, he starts to get letters and calls, lots of calls! At this point, Joe can't do anything about the annoying calls, because as long as his account is still with the original creditor, they have the right to call him about it. Of course, Joe tries to explain to the caller what he is going through and they may or may not offer some kind of "HARDSHIP PROGRAM" to help him through this. But, it really doesn't matter as he just will not be able to make any payments until he is back to work and get some other bills caught up. The original creditor(s) will most likely charge off, sell or transfer the account to a collector after about 120 days of so if nothing can be arranged. So now, Joe starts getting letters and calls (LOTS OF CALLS) debt collectors! He'd like to make some kind of arrangement with them, but they are demanding full payment on the balance or else! But, even though the calls are stopped and he is just "ignoring" the letters, the debt is not going to go away. If the debt collector is unsuccessful in getting you to start making payments, then the debt collector may decide to start the legal process of obtaining a judgment. An attorney for the collector will FILE A CLAIM at the courthouse of the county where you reside. This CLAIM will generate a SUMMONS that will be delivered to you, usually in person, but sometimes by registered mail. WHAT TO DO IF YOU RECEIVE A SUMMONS. But, please DO NOT IGNORE THE SUMMONS! 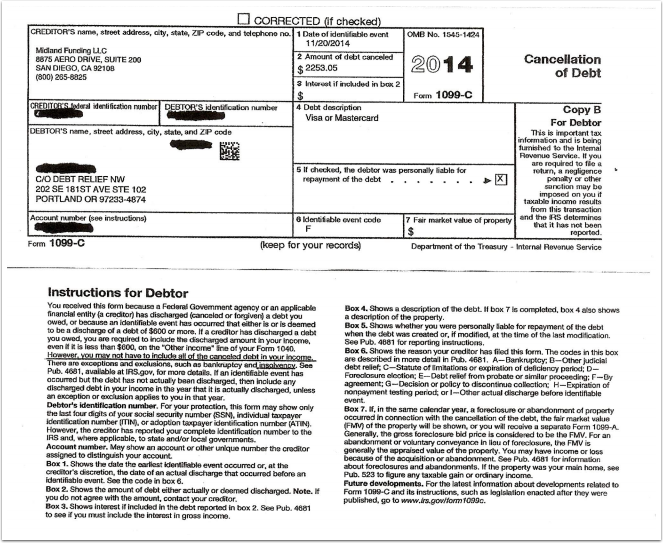 The fact that the collector decided to file a CLAIM proves that they are very serious about collecting on this debt. If you ignore the summons, then a court date will be scheduled (you don't have to go), but a representative from the collector (now called the PLAINTIFF) will show up and the court will award them a DEFAULT JUDGMENT. It's called a "default" judgment because no one contested it and they won by default. Now, the PLAINTIFF ( the collector) can apply for a WRIT OF GARNISHMENT. The Writ of Garnishment is sent to your employer and they, by law, must obey the writ and withhold up to 25% of your net, after-tax, income. Joe has just gone back to work and then he get's this notice from the payroll department that he is being garnished...and he starts to panic, which is understandable! Remember when we did the math earlier about what his actual "take-home" or "after tax" income was? That amount was $ 2,352. Most states allow for up to 25% of the net, after-tax check to be deducted and sent to the creditor until the full balance (inflated now with interest and legal fees) is repaid! $2,352 X 25% = $588 will be deducted from Joe's Net Check! He could barely make it on the $2352, and now he has to somehow make it on $1764! How did this happen and what can he do about it now? Joe could have stopped this "process" and ultimate JUDGMENT by trying to work out a SETTLEMENT PLAN with the debt collector. When Joe received the summons, he could have contacted the attorney for the collector and most likely worked out some kind of repayment arrangement that may have included a reduced settlement! Once the judgment was awarded and the plaintiff had spent more money in legal fees, they went after the garnishment. But that doesn't mean that you still could not work out something to stop the garnishment! You may be able to get them to stop the garnishment and take a more "reasonable" amount to repay the debt. Depending on the circumstances, you may even be able to not only stop the garnishment, but also get a reduced settlement. Each case is a little different. Enrolled in a Debt Settlement Program? Now What? Making the decision to enroll in a Debt Settlement Program brings a whole lot of different things to prepare for and get comfortable with. After 15 years of helping people manage their debt issues, let me share with you some things that will really help! People decide to enroll in a Debt Management Program such as Debt Settlement after a careful examination of their individual financial and personal situation. We always carefully walk our potential clients through their various options to make sure they choose the best one for them. Again, many people turn to the easily available credit of a credit card, pay day loan, or some other "quick fix" solution with the intention of paying these off as soon as things turn around. I can't remember anyone that sought our help that had just foolishly spent and spent and spent and now was not able to keep up. I'm sure that happens, but that's not the normal Debt Settlement Client. Several unsecured accounts (may also include medical bills and judgments) where the minimum monthly payment is just too large for the current income you have coming in. When you miss (or start missing) the minimum payments due on your credit accounts, you most likely will get a letter or even a phone call from your creditor. At first, they seem pleasant and willing to work with you, but as time goes by, their attitude and tactics change. Now the letters seem very "threatening" and "demeaning" and the phone calls keep coming more often. When a creditor calls, don't forget that the caller has been trained to say and do whatever they can (hopefully within the laws of the Fair Debt Collection Practices Act) to get you to start making payments again. If you are not in a position to get caught up on your outstanding/delinquent debts, then I advise that you just ignore the call (learn to use caller ID!) or just hang up if you pick up by mistake. I know this sounds harsh, and some other Debt Settlement Companies my suggest that you try to explain your situation, but years and years of working with people deal with debt collectors has taught me that is is usually a waste of time! After a while, maybe 3-4 months of this, your accounts will most likely be charged off and/or assianged or sold to a debt collection agency or debt buying agency. "Charged off" means that the creditor is going to claim that they could not collect on this debt and they will "write it off" as a loss for their annual tax reporting. 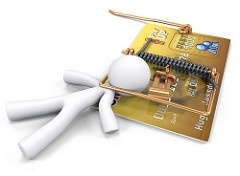 About 99% of our clients ask, "What's this going to do to my credit?" I know you are concerned about your credit score, but at this point, by being late, having too much debt and using too much debt, your credit scores are going to go down (if they haven't already). The fact that you have gotten "in over your head" credit use wise, but, have taken the steps to do something about it (like debt settlement), will in the long run improve your scores. Right now, the goal of the debt settlement probram is to help you avoid wage or bank garnishments due to judgments and/or avoid being forced to seek bankruptcy protection from your creditors. Once you/we have successfully negotiate all of your accounts to a $0 balance, your credit score will improve. Having your account "assigned" or "sold" to a collection agency, sounds very bad, but actually, for your debt settlement program, it is good. Once your account(s) have been turned over to a collection agency, the negotiation process really starts. Now we can demand/put a stop to the calls. I do this for my clients, but you can do this yourself. Now, once in a while the orgingal creditor may send you letter stating that they would be willing to settle you account for such-n-such, but not very often. If you get such a letter, be sure to forward it to the Debt Settlement Company right away as they may be able to get an even greater reducion/settlement for you! Don't speak with the crediors or debt collectors as this actually hinders your negotiator in reaching good settlements. While your account is with the original creditor (Visa, Home Depot, etc. ), you really don't need to send every monthly statement. One about every 3 months is fine. But, when the account is transferred to a debt collector, you need to scan or fax the most recent letters you receive each month. This is VERY IMPORTANT! I have had many client's fail to send me very good offers until a couple of months after receiving them. When I called on the offer, the account had been recalled by the creditor and now we have missed a very good opportunity. You've been making deposits/contributions into your Reserve Account help by an FDIC bank through your Debt Settlement Company for a few months now. Obviously you don't have enough built up to settle all of you accounts, but your negotiator will try and negotiate a settlement with the company that is willing to give you the best settlement. Most debt settlement companies will not make offers for settlements until they have a very large lump sum of money to offer. However, I have found that fair settlements can be negotiated and paid out over several months at now additional interest. Once the terms of the settlement have been completed, the debt collection company will send a letter of statement stating such. They are supposed to send update information about this account to the 3 major credit bureaus (Experian, Equifax and TransUnion), but about half the time they don't! I have our clients wait about 2-3 months after the settlement has been completed to request an Credit Report on themselves. It's not difficult and it can be FREE. The law allows for each of us to request and receive a credit report on ourselves annually. For a FREE copy (no scores) go to www.annualcreditreport.com. You will asked a few security related questions, but should be able to get your credit report without too much effort. If you find errors, ie. they have not been updated since the settlement was completed, you can open a DISPUTE and in most cases, the error will be corrected in 30 days or so. So, in a nutshell, that's how a debt settlement program works. 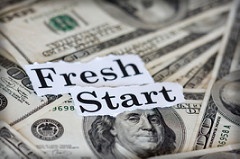 Debt Settlement Gave Us a Second Chance! Three years ago we were facing bankruptcy. We decided to use a Debt Settlement Company. Now we are Debt Free, our Credit Score has improved and are in control of our financial lives again! My story is probably much like anyone who has had to face the prospect of bankruptcy! I had been employed with a fairly large company for about five years. The pay was decent and although I can't say that I "loved" my job, I didn't "hate" it either. Rumors had been circulating about a possible sale of the company to a larger competitor for about 6 months, but I was told "Don't worry, you'll be OK". Well, one Friday afternoon, my supervisor called me into his office and let me know that the sale was going to happen and that the new company was going to close down my division. Then I heard those dreaded words..."I'm really sorry, but we are going to have to let you go." I'm married with two kids (ages 6 and 8). My wife doesn't work because her net take-home pay would barely pay for day care, so why bother? The company had some counselors available for job searches, etc., but after my session, I knew I was in trouble! I signed up for unemployment and hoped that I'd find a job before the benefits ran out....wrong! We had very little savings. Well, I probably shouldn't call it a "savings account" because we really just transferred some money from checking just to keep it "out of reach" until an emergency came up. Seems like those "emergencies" always came up! At first, I wasn't really worried because I thought I would be able to find another job rather quickly. Boy, was I wrong! We had used the "savings" up a couple of months ago when the hot water heater stopped working. The plumber said that there was nothing he could do to repair it as it was just too old, had rust, and parts where very hard to find! So, I used one of my credit cards to buy a new one and pay for the installation. Even though the total was about $800, it really only increased my minimum monthly payment by $25 or so. The unemployment finally ran out and I had to take a job at just a little over minimum wage. It was better than nothing, but the final take home pay was just not enough to cover everything. As time went by, I continued to not only send out resumes and work at my job, but the bills started piling up. My wife and I decided to pay only the absolute essential bills like the mortgage, utilities, groceries, etc. and let the credit card bills, medical bills, and yes, even the car payment get behind. As the total credit card debt was increasing due to late fees and over-the-limit fees, we had to use a CASH ADVANCE once in a while to pay a utility or grocery bill. The crazy thing was, even though we hadn't made a payment in 3-4 months, we would still get an OFFER from a credit card company for another card or to make consolidate the others with a BALANCE TRANSFER. We had three cards from one company! Sure, this "rob Peter to pay Paul" action was holding them off, but we knew that a "day of reckoning was coming!" The total credit card and other unsecured debts was now so high that we knew we couldn't keep up. It looked like BANKRUPTCY was our only option until we learned about DEBT SETTLEMENT. We weighed our options and decided to give Debt Settlement a try and use Bankruptcy as our last resort! At first, we tried to contact the debt collectors ourselves, but soon learned that they did not care about our situation and were unsympathetic and rude! Even though they were willing to discount the total amount due, they wanted it all in lump sum by the end of the month! Right.... We can't keep up with our payment now and yet we have two or three thousand dollars laying around to send them! We realized that since we were dealing with professional debt collectors we should consider retaining a professional debt settlement company. We did the normal "searches" online and soon found out that there were a lot of debt settlement companies out there! It was very evident that not debt settlement companies were the same! They ranged from being very pushy, trying to rush us to make a decision, to those who seemed to have very inexperienced reps who obviously had not much experience with our problems. We finally found a company that seemed to not only really know what they were doing, passed the criteria we mentioned above, but demonstrated empathy for us and our situation. Even though one or two collectors still tried to call, our company contacted them and those calls stopped immediately. It felt so good to not have to deal with those debt collectors any more! As time went by, the monthly deposits we made to our reserve account began to grow. At the same time, the debt settlement company was negotiating our accounts. One by one, they accepted a settlement agreements that averaged around 50% or less that the current balance. The total debt settlement program took a little over 3 years, but it was worth it. As I said before, debt settlement is not for everyone, but for us, it worked better than we expected and now we are DEBT FREE! If you have ever tried to check and/or improve your credit score, you know it can be pretty confusing. Here are some tips on how you can improve your credit score. You've probably seen an ad or had a "pop-up" appear on your computer by a so-called "Credit Repair" company offering to increase your credit scores almost "over night"! "If it sounds too good to be true, it probably isn't true." Although there are many legitimate companies that will help you improve your credit over time by correcting errors and helping you maintain a disciplined approach to using your credit, there is just no "quick fix" when it comes to improving a bad credit history and therefore a poor credit score. If you haven't done so already, get a FREE copy of your Credit Report. We all can get a free copy once a year, so take advantage of this by annually checking your credit report...and it's FREE! Paying your bills on time is one of the most important things you can do to maintain a good credit score. Being just a few days late will hurt you score. If you have had accounts go to a collection agency, then that obviously will hurt you score. By-the-way, if you pay off or settle an account with a collection agency, it will remain on your credit report for up to seven years, but the fact that you paid the debt will ultimately help your credit score. Using a Debt Management Company to help you get control of your debt can be very helpful. No, your credit score will not be affected by using or not using a Debt Management Company, but in the long run, the professional help and guidance will help reduce or pay off all of your debt and therefore, improve you credit score. Next, notice that at least 30% of your credit score is determined by the AMOUNT OF DEBT you owe. A lot of people think that just because they have never been late on a payment they should always have a great score. But, if they have a very large amount of debt in relation to their income and total available debt, they will be disappointed with their score. Prospect #1 has a good job and employment history. She in never late on making her payments for her mortgage, car and all of her credit accounts. But, even though she is earning a "better-than-average" income, she has accumulated over $30,000 of unsecured debt in addition to her mortgage and auto payments! She would need to be making minimum payments of $750-$850 per month on her unsecured debts (credit cards, store cards, etc.) and that equates to about 25% of her net monthly take-home income just for these unsecured debts. When you add in a $1200 mortgage and a $400 car payment, that's about $2,400 per month going out to service her DEBT! Even with her "better-than-average" job and income at say, $75,000 annually, when you take out 30% for taxes and other deductions, that gives her a net monthly income of about $4,375. With $2400 going out to just meet the minimum payments on all of her debt, that equates to almost 55% of her net income! One "hick-up" such as long illness, loss of job, or any other hardship would make it almost impossible for her to meet your debt payment obligations. If you were a credit card company, would you loan her more money? Hence her credit score is not as high as she though it would be. He had a good job and earns about $4,000 per month. Not that much really, but he is doing OK. He isn't buying a home and so is paying about $800 per month in rent. His old truck (not too old...maybe 8-10 years) is paid for. Although it doesn't get great gas mileage, at least he doesn't have a big payment each month. He has a good credit history and although maybe late a couple of times in the past, he has maintained a steady, on-time history for several years now. He has about $10,000 on 3 credit cards which demands that he makes at least a minimum payment of $215 each month, which he does and sometimes adds a little more than the minimum. The ratio of credit being used to the availability of credit to you. He has paid off several accounts in the past and actually has about $40,000 of available credit (credit limits on all of his accounts) that he could use if need be. He is only using $10,000 of the available $40,000 or only 25%. This is considered a good use of available credit and so he would be viewed as a better credit risk. Are you starting to get the idea? It's not just about paying your accounts on time (although that is certainly important), but more about USING AND MAINTAINING YOUR CREDIT WISELY! You will notice that the LENGTH OF CREDIT HISTORY makes up at least 10% of your credit score. If you are just starting out and have not established much of a credit history, DO NOT MAKE THE MISTAKE OF OPEINING A LOT OF ACCOUNTS IN A SHORT PERIOD OF TIME! Opening too many accounts too fast doesn't look good to the credit bureaus. In fact, it could do more harm than good! Just open an account or two, make some small charges and pay them off promptly. How long will this take? It depends on some and/or all of the other factors we've been talking about. The point is that establishing good credit doesn't happen quickly. Closing accounts doesn't help improve your score! In fact, it will probably hurt your score. Again, you want to show that you are a responsible user of credit over a long period of time. If you close too many accounts (assuming a $0 balance on them), you are reducing your "credit-use-ratio" as we discussed before. Pay off and/or settle old accounts the best you can. Sometimes it makes sense to seek the help of a professional Debt Management Company to settle old debts that have been around for a long time. Sometimes these can be removed (using the proper procedure) from you credit report if they have gone past your state's statute of limitations. 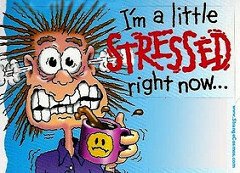 Debt Settlement can help if you are in over your head! Manage your credit wisely...not too much...too fast! 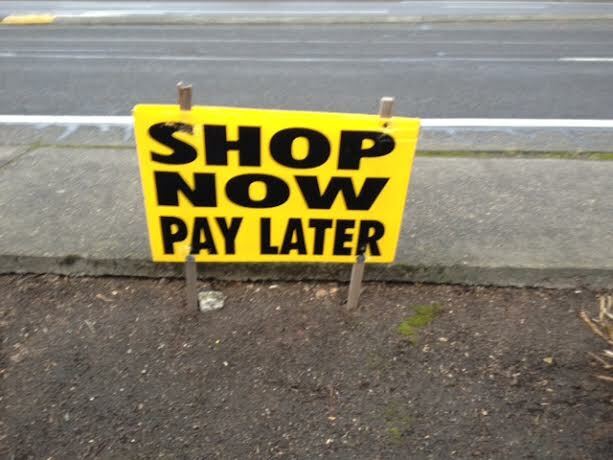 Make your payments on time. Being a day late hurts more than you know. Try using "auto-payments". Check that Credit Report for errors! All three credit bureaus will let you go on line to dispute errors. You don't have to pay someone else if you will take a little initiative. The best way to improve your credit score???? Use credit wisely. If you live in Oregon, I've got some good news on how you can find debt relief! If you are fighting each month to just barely get by, you are not alone. Statistics abound about how the average family has several credit cards and several thousands of dollars of debt. When is the last time you sat down and completed and honest, up-to-date HOUSEHOLD BUDGET? If you are having a difficult time with too much credit debt, then the natural tendency is to avoid or ignore the facts, but you can't get out of debt without know exactly where you stand financially. Once you know exactly what you have coming in and exactly what you are spending your money on each month, we can devise a plan. In a Debt Management Program, you will be making ONE PAYMENT to a Debt Management Company or what some people call a Credit Counseling Company. This company will in turn have contacted each of your creditors to arrange a repayment plan. Most Debt Management Programs take about 48 months to complete. Once you have competed the program, you will not only have saved a substantial amount of money in reduced interest and fees, but your credit report will reflect that you have $0 balances and your credit score will start to improve. The problem with most Debt Management Programs is that depending on the amount of debt you owe and your left over or net, disposable income each month, you may not qualify. Let's say you have $25,000 of various credit card debt. At 2% of the $25,000 you owe on all of your cards, your minimum payment was $500. Because the credit card industry figured out that they will make much more money in the long run if they make the minimum payment so small that that most people will take 10 -15 years or more to finally repay the debt. And, the most tragic thing is that if and when you finally do pay all of the credit card debt, you will have paid 3 - 4 times more than you originally borrowed! But in a Debt Management Program, you most likely will need to pay about 2.5% of the total, or in this case of $25,000 total credit card debt, $625 monthly! In a Debt Settlement Program, your creditors will not be receiving normal, monthly minimum payments as before. Most people who have so much debt that they cannot keep up have fallen behind already or have had some accounts turned over to debt collectors anyway. A professional Debt Settlement Company will negotiate a reduced balance (usually around 50% and sometimes less) with the creditor or debt collector. Once the debt has been settled (by lump sum payment or over series of payments), the debt collector will report the debt to have been "settled-as-agreed" to each of the Credit Reporting Agencies. But what if you do not qualify for Debt Management or Debt Settlement? If that is the case, then you may need to seek BANKRUPTCY PROTECTION from your creditors. Bankruptcy is a viable option to finally get out of debt. Bankruptcy should be viewed as the last option (in my opinion) and not just a "get out of jail card" so to speak. 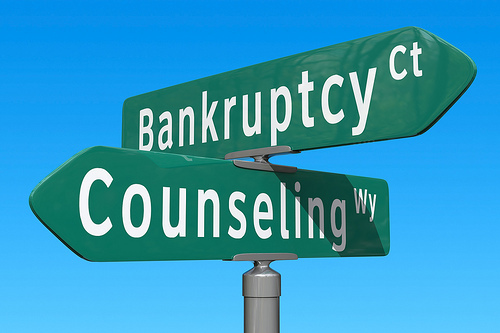 You will need to sit down with a BANKRUPTCY ATTORNEY in your area to discuss your situation and your options. Depending on your specific financial circumstances, you will most likely be placed in a Chapter 7 or Chapter 13 bankruptcy. The bankruptcy attorney will explain the differences. We have been helping Oregonians become DEBT FREE for over 10 years. Don't let fear of the unknown keep you in contast turmoil over too much debt. You have options for debt relief, and we can help! Tips for Finding Extra Money Each Month! If you're like most people, paying all the bills each month is very difficult! If you are barely making ends meet, you might try these tips on how to find extra money each month. The first step in finding extra money each month is to complete a buget. You need to be very honest with yourself and list everything you are spending money for each month. Now that you know where you stand, financially, it's time to go to work to see where cuts can be made. Let's start with you credit card bill or bills. I know you don't want to hear this, but STOP BUYING THINGS ON CREDIT! I know the rationalization, but if you really want to cut your budget, you cannot justify an extra $10 here and $10 there. It all adds up...way too much! If you have credit cards with interest rates of 20% or more, you should be able to get them lowered. Call the credit card company. The number will be on your bill. When you get the representative on the line, tell them that you must cut your rates and need them to lower yours. If they refuse or say that they can't, tell them (nice way of threatening) them that then you will have to shop around for another creditor to transfer your balance to. Don't give up! 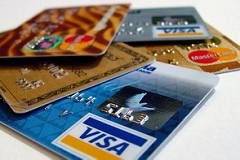 The credit card industry can modify the rates. Obviously, they want to charge as much as possible, so they train their representative to be tough, but YOU HAVE TO BE TOUGHER! By the way, if you have too much credit card debt and are not able to keep up with the monthly payments, there are several option that may help. What about that CABLE BILL? If your not careful, your cable company may slowly raise your bill. We have a cable company (I won't use their name, but they are BIG!) and have the bundled package (cable, phone, internet, etc.). Our monthly bill is usually about $200. Last month, the bill was $260! That's almost a 30% increase! WHY???? We called the company and was connected to a customer service representative. She said that there was nothing she could do about it, that it was just a "normal" rate increase. So, we asked to be transferred to the LOYALTY OR CUSTOMER RENTION DEPARTMENT. Since we had been "loyal customers for so many years...", they said they would not increase our bill! Again, you have to be tough and don't give up! It seems that utility companies can get away with raising rates anytime they want to! I know there is some kind of "government application process" each utility company must go through, but when is the last time you saw your rates lowered? We'll talk about how to cut your ELECTRIC or GAS bill later, but first, when is the last time you checked your home for air leaks or drafts? Yes, you could call a company that does this, but not only will it cost you, most likely they are going to recommend replacing or updating your equipment! Check all of your windows by feeling for cold drafts of air. If you feel a little cold air, that means that your warm air is most likely going out! You can get several types of sealers or caulking for windows and doors at your local home improvement store. If your not sure which one you should use, most of the sales reps can help. What about your old ELECTRIC OR GAS FURNACE? I'm a do-it-yourself guy, and each time I go into one of our local home improvement stores, there's a sales person trying to get me to "upgrade" my furnance. Yes, mine is an older model, and yes, the new ones are much more efficient, but I'm having a hard time justifying spend $4,000 - $5,000 to save $30 -$50 on my electric or gas bill! I know there are government programs that may give me a credit, but I know that by just checking all of my windows, doors, under the sink, etc., I can save a lot of money, and you can too! Check for leaks! Just a little faucet drip can end up costing a lot of extra money on your water bill. Not just the faucets, but check those toilets! If you hear them continuing to run, $$$$ down the drain. Once again, you should have to call a plumber, but can get great do-it-yourself help online or at your local home improvement store. I know you have seen the ads on TV about saving up to 15% on you car insurance, but have you compared your current policies? Get out your insurance bill (car, home, other) and go on line to compare. I'm not advocating reducing a lot of coverage to save money, but you may not need all of the "extras" you have been paying for. If you are paying for your own HEALTH INSURANCE, it's time to check it out. Most health insurancd premiums can be dramatically reduced by electing to increase your deductible and/or co-pay. These are just a few tips on how to find extra money each month, and you may discover more! What if by just following a few of these suggestions, you could find an extra $50, $100 or more each month? Is it worth it...you bet it is! Good luck!